Rents decreased by 0.2 percent from July to August as Houston continues to be one of the nation's most affordable locations for renters. Rents were 1.3 percent less in August than they were in September 2015. Houston rents are now outpaced by both Sugar Land and Katy. Apartment List released its rent report for Houston, finding rents decreased by 0.2 percent from July to August as Houston continues to be one of the nation’s most affordable locations for renters. 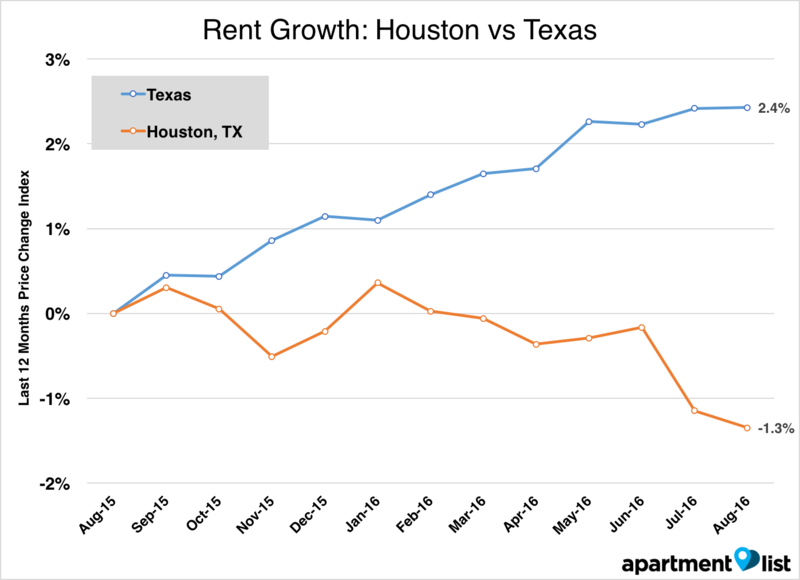 Houston rents decreased 0.2 percent in the past month, leading to a negative rent growth rate over the last year. Rents were 1.3 percent less in August than they were in September 2015. 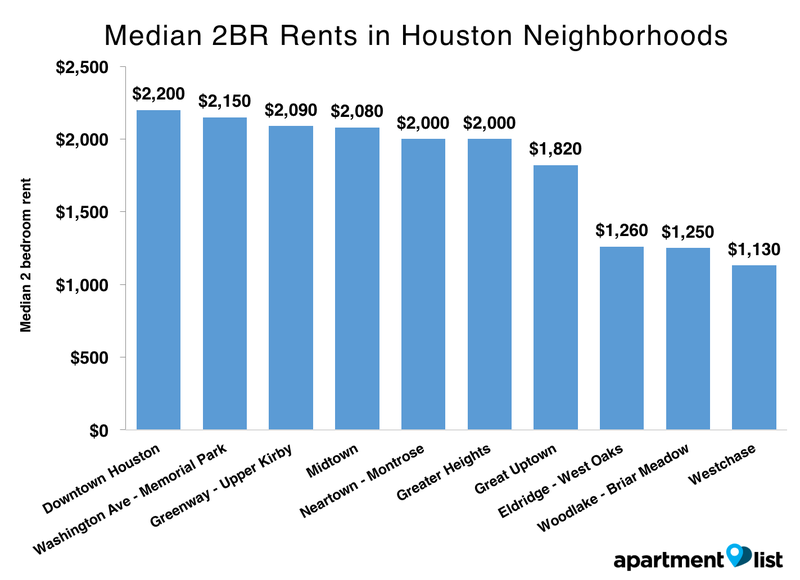 Houston’s median rent price for a two-bedroom was $1,460 in August, and $1,130 for a one-bedroom apartment. 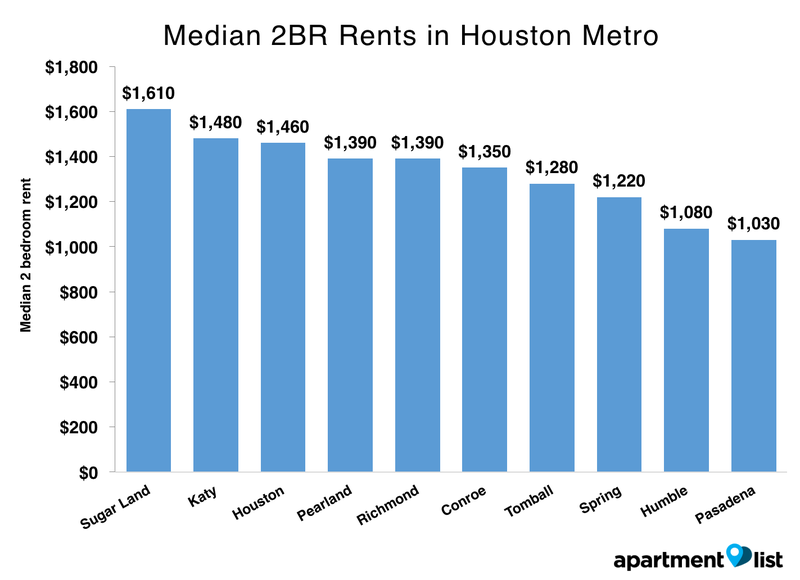 Houston rents are now outpaced not only by those of Sugar Land, but Katy as well. The median rent price for a two-bedroom in Sugar Land was $1,610 in August, and $1,480 in Katy. One-bedroom rents for these cities were at $1,290 and $1,070, respectively. Downtown Houston continues to be the city’s most expensive neighborhood for renters, with two-bedrooms renting for $2,200 and one-bedrooms for $1,590 in August. Washington Ave-Memorial Park came in second for most expensive, with median rent prices at $2,150 for a two-bedroom and $1,570 for a one-bedroom. For methodology and data for other neighborhoods and cities in the Houston metro, see Apartment List’s full report. Yuki Graviet Knapp is a Content Marketing Associate with the Growth Team at Apartment List and is a resident of the Bay Area. 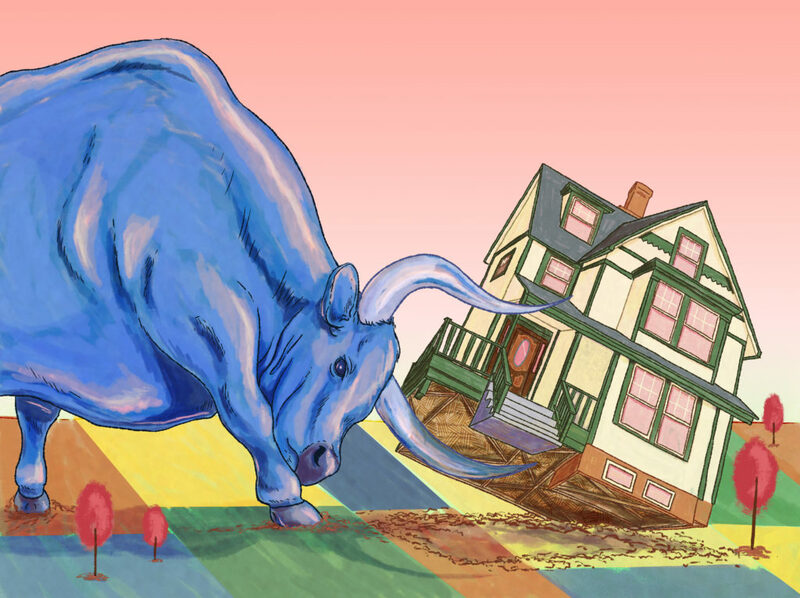 Where are America's happiest renters?